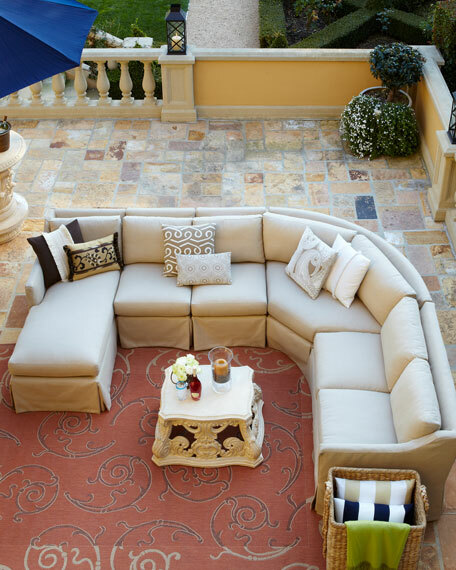 Generously sized, outdoor-safe sectional sofa. Frame is handcrafted of marine-grade wood. 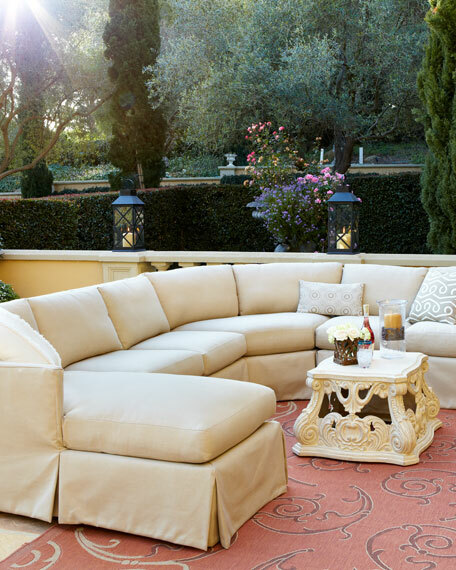 Upholstered in stain- and mold-resistant Sunbrella® acrylic fabric. 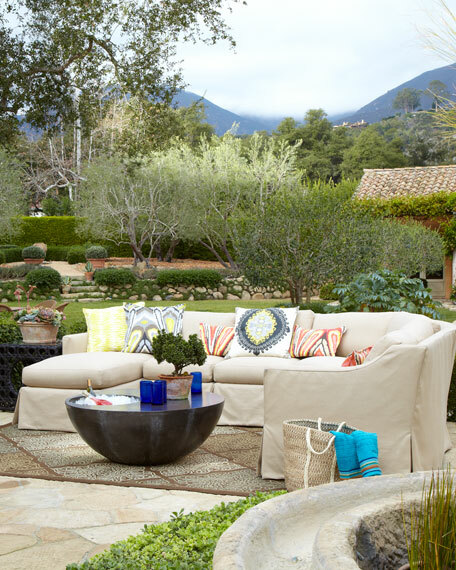 Aluminum legs have glides for easy rearranging. 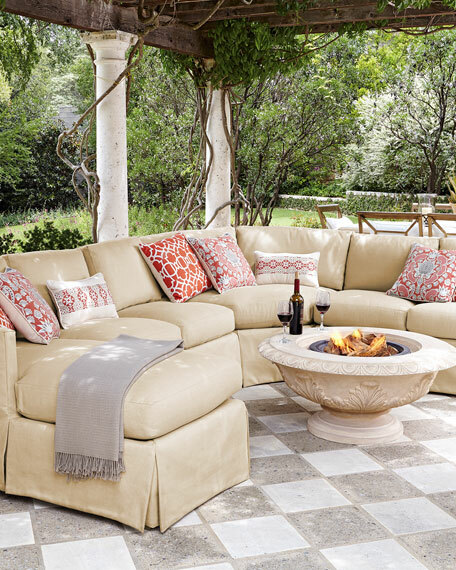 Armless seat, 25"W x 38"D x 36"T. Wedge, approximately 65"W x 41"D x 36"T. Right-facing love seat, 56"W x 38"D x 36"T. Left-facing chaise, 28"W x 67"D x 36"T.
Boxed weight, approximately 234.7 lbs. For in-store inquiries, use sku #873985.